To the Slammer with ya! 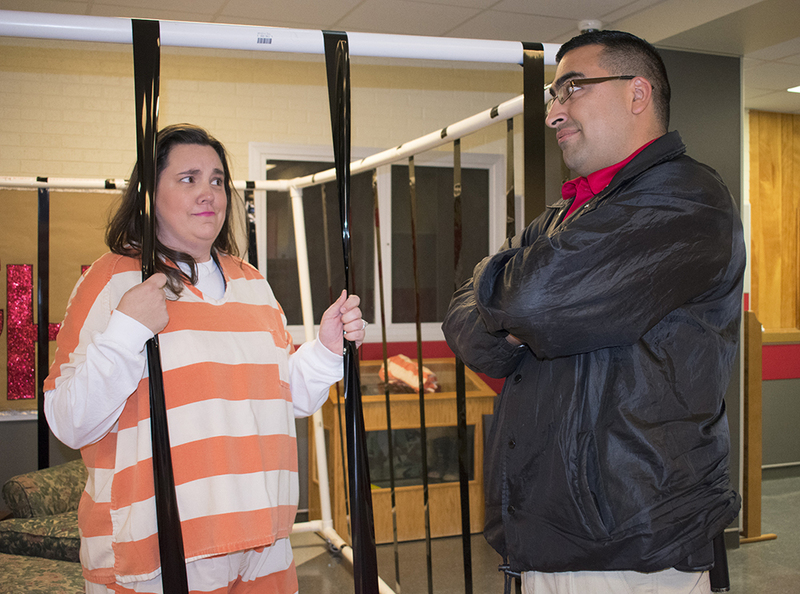 As part of a senior class fundraiser, Coahoma High School teacher Katie Valencia spent today, the last day before the Thanksgiving holiday, in “jail”. 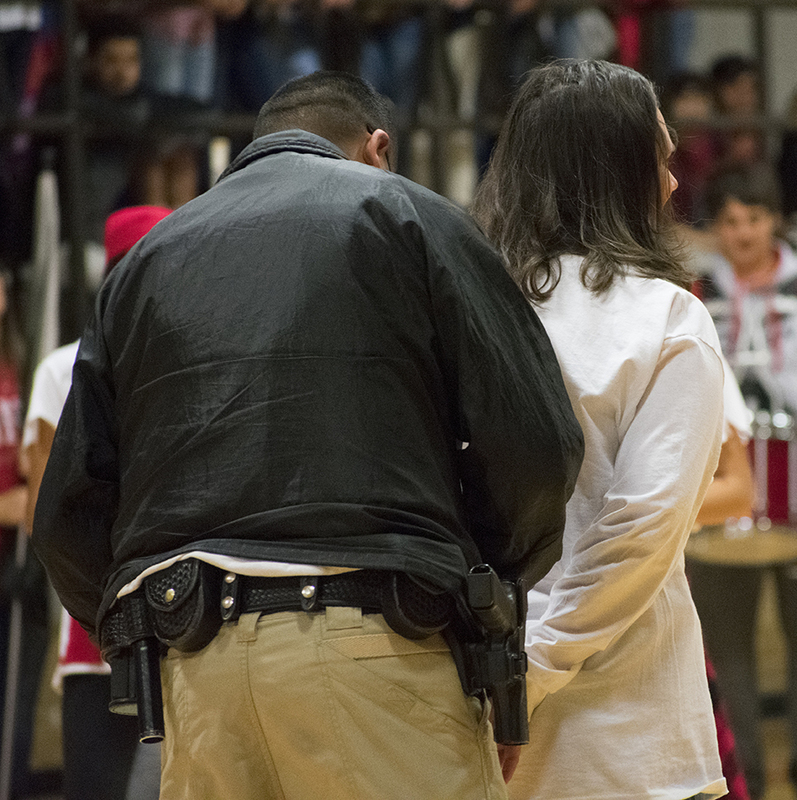 The announcement came at the morning pep rally where Valencia was handcuffed by Howard County Sheriff’s Deputy Frank and escorted to the “jail” located in the hallway of the high school. Instead of class work, her students watched movies in the auditorium while Valencia served “hard time” behind bars on a nice, comfortable chair with books and her computer.